's Team GFs Gifts Contest on DeviantArt. 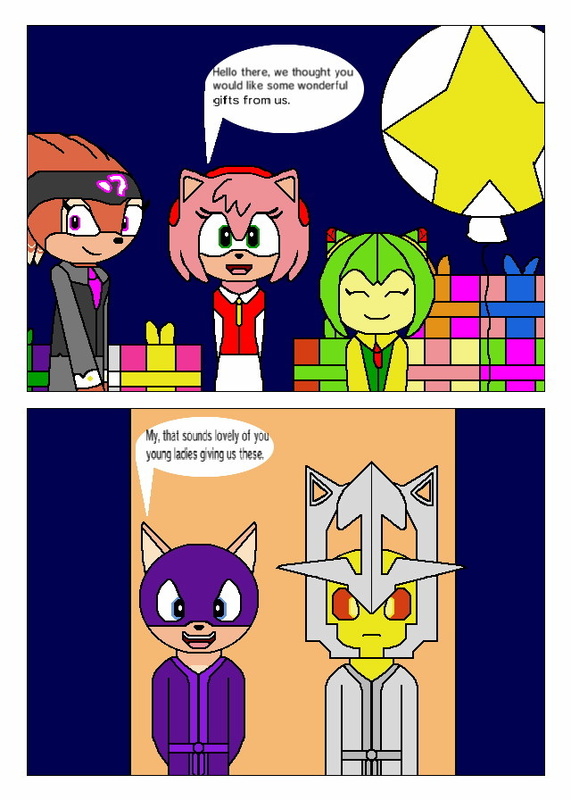 Oh it looks like Doom Raiders Luminous and Nightshade got special room service from Amy Rose, Cosmo the Seedrian, and Shade the Echidna, which are many present boxes. This comic is drawn on Comic Workshop 2. Thanks, and thanks for the faves too!